Reverse mortgages (also called home equity conversion loans) enable senior homeowners (age 62 or older) to tap into their equity without selling their home. The lender pays you money based on the equity you’ve accrued in your home; you receive a lump sum, a monthly payment or a line of credit. Repayment is not necessary until the homeowner sells the property, moves into a retirement community or passes away. When you sell your home or no longer use it as your primary residence, you or your estate must repay the cash you received from the reverse mortgage plus interest and other finance charges to the lender. Most reverse mortgages require you be at least 62 years of age, have a low or zero balance owed against your home and maintain the property as your principal residence. Reverse mortgages are ideal for homeowners who are retired or no longer working and need to supplement their income. Interest rates can be fixed or adjustable and the money is nontaxable and does not interfere with Social Security or Medicare benefits.  Your lender cannot take property away if you outlive your loan nor can you be forced to sell your home to pay off your loan even if the loan balance grows to exceed property value. TrustMor Mortgage Co., LLC . NMLS # 93789 (nmlsconsumeraccess.org).